From Petronas to Total, Castrol, Shell, and Fuchs oils, the 123tyre.ie online store brings you a wide selection of quality motor and engine oils. These automotive lubricants by some of the biggest and most trusted brands in the industry are meant to keep your car running for a long time. From making sure that your engine runs smoothly to preventing the build-up of rust, there are many reasons why you should be using quality oils for your vehicle. Keep in mind that you will need to choose the right viscosity for your car. Every vehicle is different, which is why you will want to refer to your car’s manual to find out what oil is required. 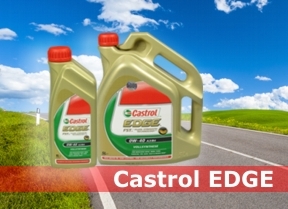 Moreover, you can also choose either fully or part synthetic oils. If you have any questions about finding the right oil match for your vehicle, we are more than happy to help.